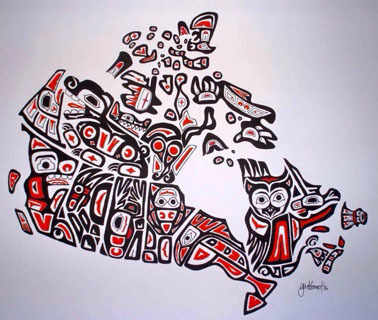 Our Home and Native Land — by Canadian artist Jen Adomeit. Thanks to Ivan Noke on facebook. According to Susan Delacourt at the Toronto Star, the debate over the “suicide crisis” (aka “mental health crisis”) on the Attawapiskat First Nation reserve “sparked a rare outbreak of civility among rival parties this [past] week” in the Canadian House of Commons. 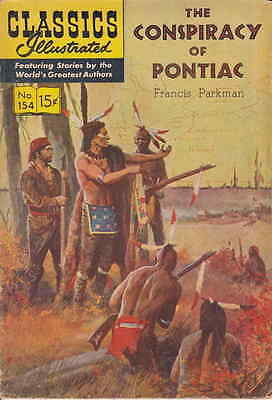 Pontiac : War Chief of the Ottawa — another founding father (parent?) 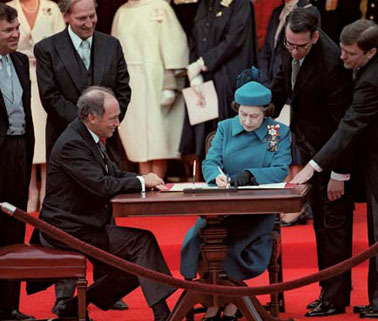 of Canada today! We thought again of this crucial historical truth that “we” non-aboriginal Canadians still seem not altogether ready (or prepared) to realize while perusing the “Suicide among Canada’s First Nations: Key numbers” posting on the CTV News site earlier this week. For us the short message here is that unusually high First Nations levels of “psychological distress”, “lifetime suicide thoughts”, “suicide ideation”, and “suicide rates” will start to fall, when the rest of us start seriously recognizing that what our Constitution Act, 1982 calls the aboriginal peoples of Canada have in fact been “fundamental to the growth of Canadian institutions” — as “Canada’s first and perhaps only genuine intellectual” explained at length, and with much angular charm, 86 years ago. 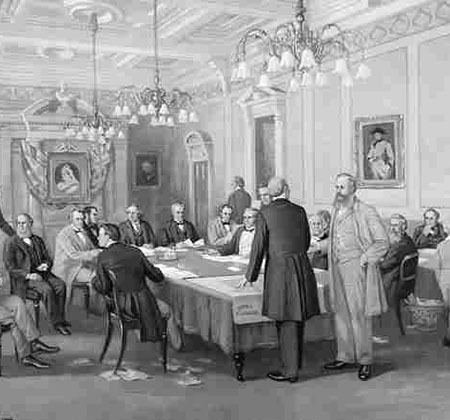 Canada’s “Fathers of Confederation” at the London Conference, 1866–1867. Randall White foolishly wonders whether they should be renamed “parents of confederation” in our present non-patriarchal age? 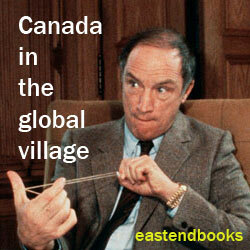 (2) More from Children of the Global Village — All this is also just one of several still current Canadian public policy issues covered in the latest installment of Randall White’s work-in-progress, Children of the Global Village — Canada in the 21st Century : Tales about the history that matters. 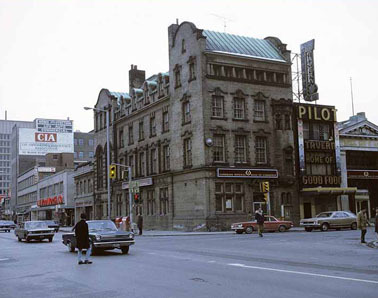 Before the Constitution Act, 1982 : Northwest corner of Bloor and Yonge in Toronto, 1960s or early 1970s. Photo by Ellis Wiley. City of Toronto Archives. When we caught up with Dr. White and his attractive business manager at the Tim Horton’s across from Kew Gardens (though not the one in London, England, about which Virginia Woolf apparently wrote a story, nor the one in Queens, New York City), he was happy to be at work at last on PART III : Dominion of Canada,1867–1963. 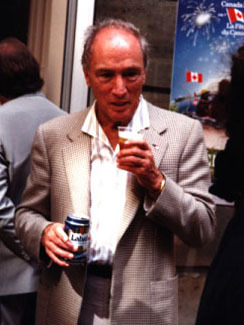 And he hopes it will not be too long before he can say the same about PART IV : The Long Journey to a Canadian Republic, 1963–20? ?.